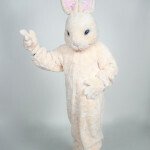 The Peach Bunny Costume is available for rent to the general public. 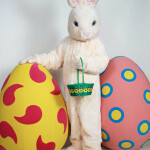 The Bunny costume is perfect for Easter Egg Hunts, Easter Events, Spring Festivals, Celebrations, and so much more. 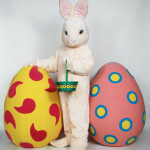 Contact us before your opportunity to rent this Easter Bunny costume bounces away. 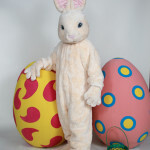 This Easter Bunny rental costume is a non-professional bunny costume which uses traditional foam sculpting combined with a relaxed easy wear body. 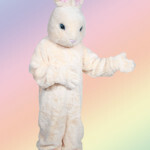 This Easter Bunny costume is perfect for the first time mascot performer and anyone wanting the perfect attention grabbing Easter Bunny costume. 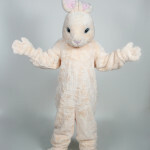 The body construction of the bunny costume is designed to fit most people. 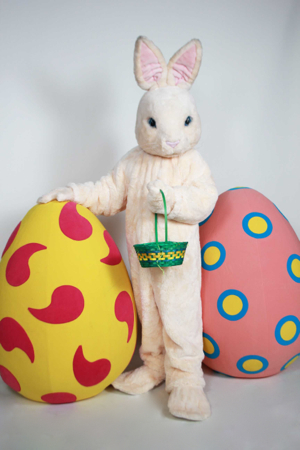 Our staff is available weekdays from 9am-5pm EST to help you with arranging the rental of this Easter Bunny Mascot Costume. Contact us … We look forward to hearing from you.